Water base helps keep advertising sign from tipping over. Clamps go through sign board & poster to keep graphic in place. 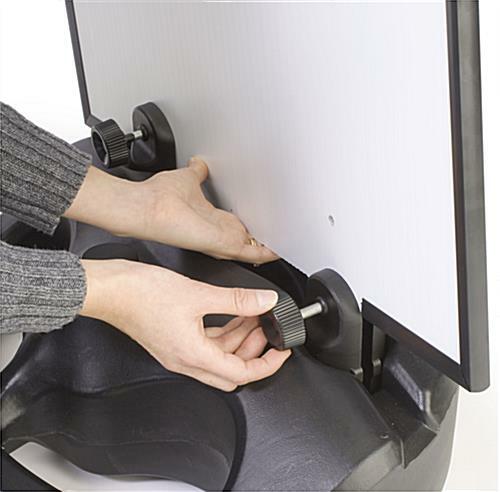 Built in handle makes moving display easy. 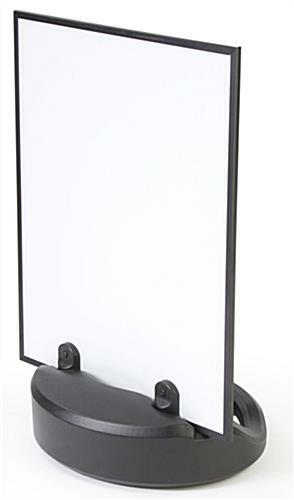 This advertising sign, also known as a sign board and an outdoor sign, is designed to promote your business or upcoming events. 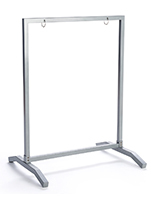 An advertising sign has (2) clamps to hold your sign in place. 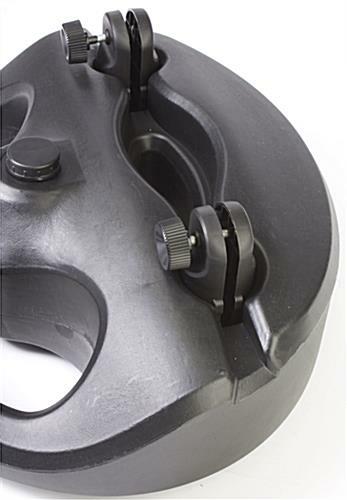 These clamps have a 1/4" screw that goes through your graphic, and should be taken into account when designing your image. A sign board, advertising sign is recommended to be used with a thick backboard such as Coroplast®, Sintra®, and Corocel®. 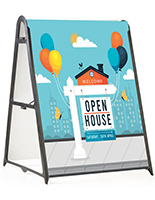 This advertising sign is perfect for use by retail stores, restaurants, bars, schools, and other locations that wish to provide visible advertising at an inexpensive cost. 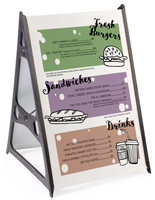 A sign board, advertising sign can be filled with water to make the display more stable to help prevent tipping. 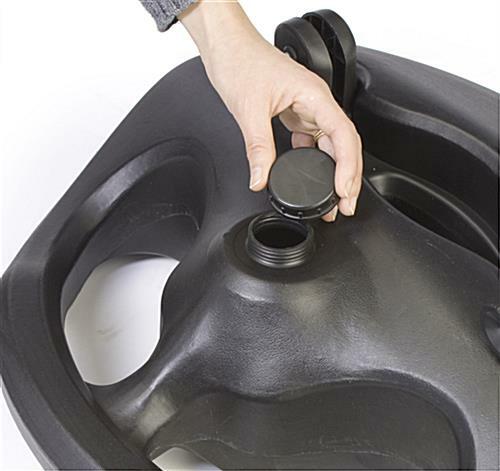 The base can hold approximately 4 gallons of water, and weighs 29-1/2 lbs. when filled. 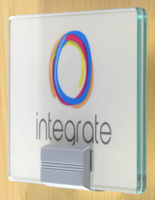 An advertising sign has handles built into the back of the display that allow for easy transport. 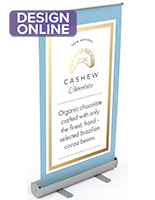 A dual sided advertising sign allows you to promote to multiple directions at the same time. This advertising sign is perfect for bringing to a local sign shop. Custom vinyl graphics from a sign shop will work great with this display. Please Note: This advertising sign is not sold with sign boards or graphics included. Also, because of its lightweight design and the absence of a protective lens, we do not recommend this advertising sign for use in inclement weather. 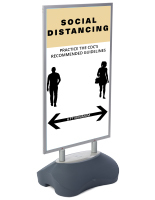 Recommended sign materials include Coroplast®, Corocel® or Sintra®. 21.3" x 7.8" x 17.0"
These bases were just perfect for the event! They were sturdy, held the signs in position and we received many comments on how "professional" the sign display was. The volunteers found them easy to assemble and carry. For the second annual event we actually ordered more of these bases since the event has grown! Wow, this does look perfect, Bonnie! 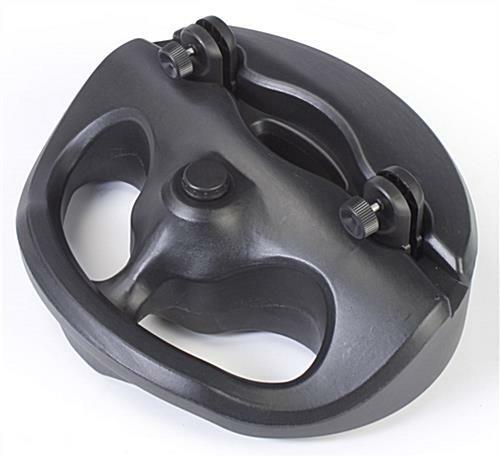 We're so glad these worked so well for your event. Thanks so much for sharing a picture with us! 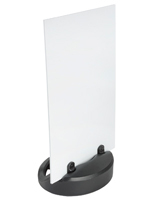 These sign bases are so easy to use and do not take up much storage space. I purchased 8 of them to start and will be purchasing more so I can replace all of our signs. We have an annual event in which the signs are only outdoors for a few hours, so I was able to get away with using a piece of foam core board to back my 20x30" posters. They slid easily into the bases and I made two holes with a pair of scissors to screw them into the bases. Really simple with no instructions needed. 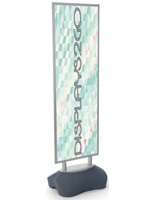 I even had to tell our caterer and inflatables vendor where they could get these for their businesses! Very pleased. Thanks for the feedback, Jacel! We hope to hear from you again soon.